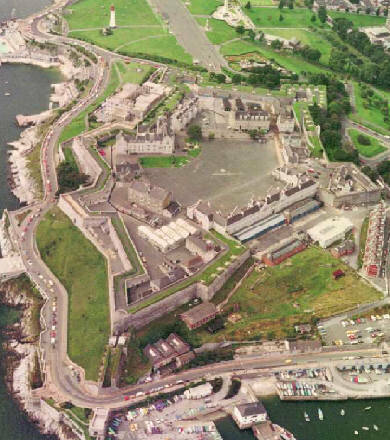 The Royal Citadel was the most important English defence for over 100 years with its 70 foot high walls. 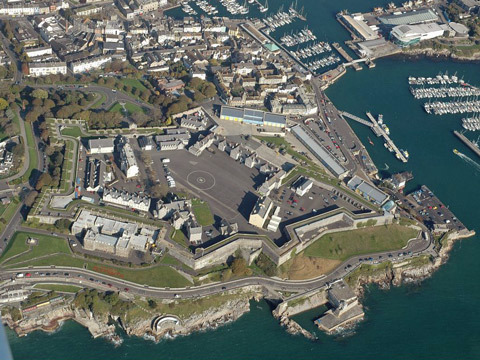 It was built in 1665 over the earlier Plymouth Fort as a defense against a threatened Dutch invasion. It has been regularly strengthened over the years, particularly during the 1750's when it was equipped with 113 guns, and is still in use today by the military. Guided tours March - September. Managed by English Heritage. On its south east corner it incorporates Fisher's Nose Blockhouse dating from 1490-1540. On the opposite bank to Fisher's Nose was Queen Anne's Battery dating from 1667.